The group was trying to surrender to US Border Patrol agents and claim asylum, but the agents were too busy herding other groups along the fence that stands about 100 yards (91 m) inside US territory. Once undocumented migrants are on US soil, the Border Patrol is obliged to arrest them for entering illegally. But migrants can claim fear of returning to their countries, allowing them to remain in the United States legally until an asylum hearing, which can take months or years. 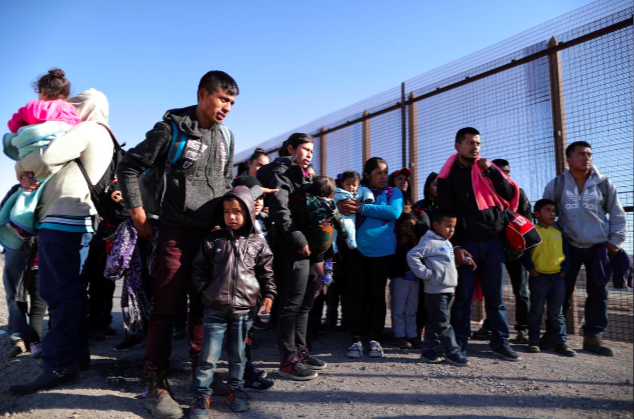 The pair were among close to 1,000 mostly Central American migrants who crossed into El Paso on Wednesday in the kind of surge the US border has not seen in over a decade, Border Patrol data show. Border Patrol officials say the El Paso fence, one of the multiple sections of the barrier built inside the border due to quirks of local topography, is successful in stopping migrants from scattering into El Paso.